Solution: Predict the sign of the entropy change, ΔS°, for each of the reaction displayed. Drag the appropriate items to their respective bins. 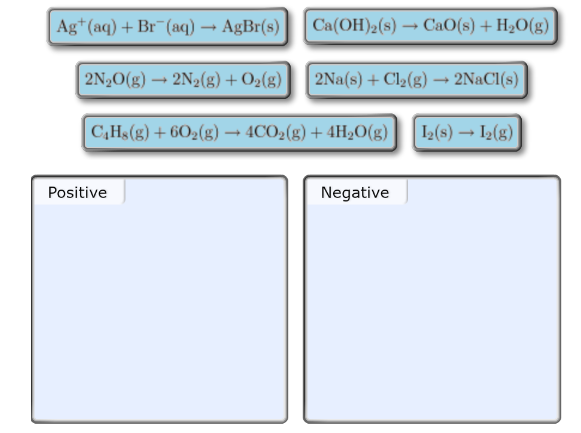 Predict the sign of the entropy change, ΔS°, for each of the reaction displayed. Drag the appropriate items to their respective bins.